Ok, I removed the post about “unhealthy role models” since I decided I want my website to continue to be about celebrating athletic achievements instead of denigrating them. In that vein, I thought I’d post something about a “healthy role model” instead. 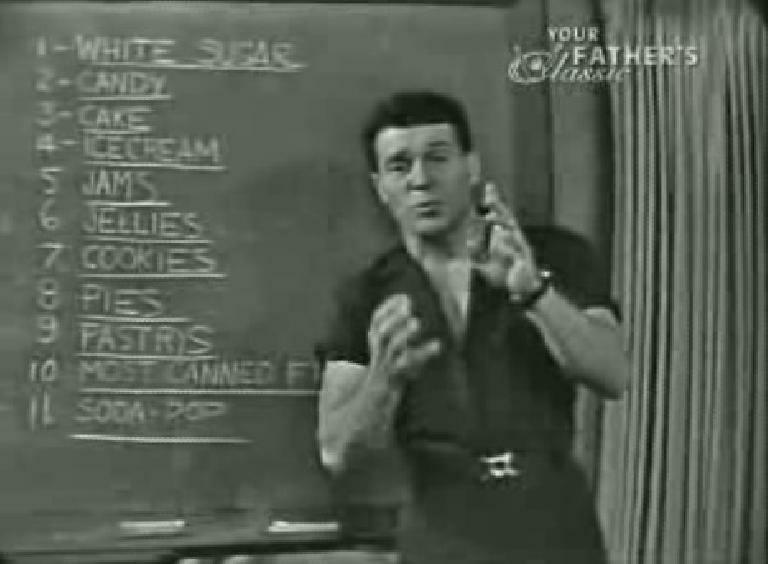 One that comes to mind is Jack LaLanne, still alive at 93 years young. 1954 (age 40): Jack swam the entire length of the Golden Gate Bridge in San Francisco, underwater, with 140 pounds of equipment, including two air tanks. A world record. 1974 (age 60): For the second time, Jack swam from Alcatraz Island to Fisherman’s Wharf. Again, he was handcuffed, but this time he was also shackled and towed a 1,000-pound boat. 1984 (age 70! ): Once again handcuffed and shackled, Jack fought strong winds and currents as he swam 1.5 miles while towing 70 boats with 70 people from the Queen’s Way Bridge in the Long Beach Harbor to the Queen Mary. Reputedly, even at 93 years of age, he still works out two hours each morning doing a combination of weights and pool workouts. But what inspires me the most was his all-round attention to other aspects of healthy living. Some examples of this are below. Finally, here are some words of advice from Lalanne from just two months ago, on Labor Day 2007 at Venice Beach—more than 50 years after the above videos (when he was ~40). As you can see, he still looks great and sounds strong at 93 years of age. Amazing. Jack really was ahead of his time, and it would not surprise me if he lives past 100! My grandmother (Noni) lived to be 98. Up until she was 97 she worked out 1 1/2 hours per day, 7 days a week, lived by herself (unassisted), cooked and cleaned herself. 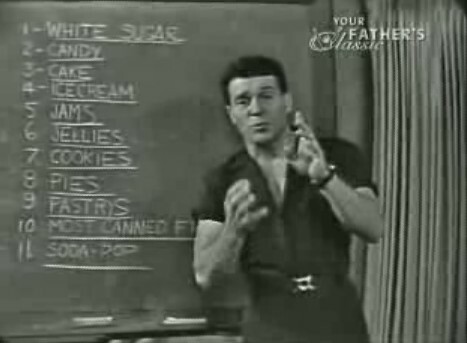 Thirty minutes was working out to Jack LaLanne! She could touch her palms on the floor with legs unbent. She took what Jack said to heart. Jack and Noni are my roll-models for longevity.